The physical act of filing for divorce can be daunting. Not only is it the first step in ending your marriage legally, but if you're filing for divorce without an attorney, you may encounter challenges at the court clerk's office. While most people are able to file their divorce paperwork without incident, over the years, DivorceWriter has received valuable feedback, both from our customers and from our own interactions with hundreds of court clerks across the county. Based on that information, we've outlined our top five tips to help you avoid common pitfalls at the court clerk's office. 1. 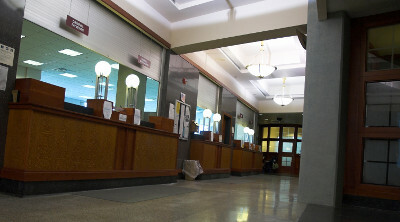 Limit your contact with the Court Clerk's office. Non-attorneys sometimes find it difficult to interact with court clerks' offices, primarily because staff members tend to use office-specific lingo that makes sense to them, but little or no sense to a layperson, and routinely refuse to provide basic procedural information. Even new attorneys or seasoned attorneys filing in a new locality may find themselves confused by the legalese and/or procedures used at a courthouse they don't frequent, although court clerk staff members tend to be far more accommodating to lawyers. The best way to minimize contact with the court clerk is to mail in documents whenever possible, including the initial divorce documents to start your case. In many counties, as long as you have the exact filing fee in an acceptable payment method and a large enough self-addressed stamped envelope to accommodate the return of your copies to you, you can file for divorce by mail. Information on where to mail documents and the exact filing fee for divorce are almost always available on the court clerk's website. 2. Ask the right questions the right way. It's important to minimize opportunities for court clerk personnel to deliver blows to your confidence. For example, it isn't entirely uncommon for them to tell pro se filers that they aren't allowed to file for divorce without an attorney if they have minor children of the marriage or if they're using online divorce papers. However, when DivorceWriter contacts the very same clerk's office, we hear something different. That's because we know how to ask the right questions the right way. If you have minor children together, whether your county requires you and your spouse to attend a parenting class or seminar. Never ask if you can file for divorce without an attorney. That's your right and it remains your right even if you and your spouse have minor children together and even if you use paperwork that you prepared yourself from an online source like DivorceWriter instead of an attorney. Also, don't discuss the source of your paperwork with the court clerk. All they need to know is that you prepared it yourself, that you believe it is legally sufficient and that you want to file it so that you can get it in front of the judge. If your court clerk makes his or her e-mail address available online, e-mail your question rather than calling or going in. Of course, the same rules apply with e-mail as with in person or telephone contact--only ask basic procedural questions. Never include a detailed explanation of your circumstances as that will surely be viewed as you asking the court clerk to apply the law to your situation, which is the very definition of giving legal advice. 3. Be professional and confident. As a pro se litigant, you want the court clerk to respect your right to self-representation, but that's part and parcel of being able to convey that you appreciate the seriousness of what you're undertaking. Being emotional or acting like you're overwhelmed highlights your lack of confidence with the process as does asking questions that call for legal advice. Divorce is often a very emotional time, but no matter what happens, don't ever become rude or emotional with court clerk staff. Appearing professional and confident, even if you don't feel like you're either, is one of the best ways to avoid problems at the court clerk's office. Keep an orderly file or folder with a copy of each of the documents you have filed as well as the original and all copies of documents you have yet to file. Know which documents you have already filed, and know when it is time to file additional documents. If you aren't usually an organized person, become one--at least when it comes to your divorce case. Not all attorneys are well-organized, but generally, they have support staff who are. You'll have to be that person for yourself. 5. If something goes wrong, don't panic. A signature wasn't notarized when it should have been. A document is missing a signature. Documents were filed with blanks on them. Documents were signed and/or filed too soon or too late. Your DivorceWriter filing procedures provide step by step instructions for filing your divorce papers--start to finish. If you're notified that there's a problem with your paperwork, but aren't told what the problem is, review your filing procedures carefully along with your documents. If there is an error on one or more of your documents or something important has been left out, fixing it is often as simple as filing an amended document. Often, court notices provide clear information on what needs to be changed. More information on how to file an amended document is available here.